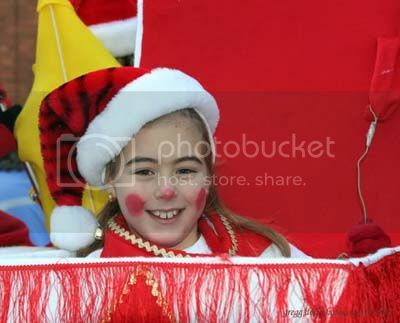 Today is St. Nicholas Day in the Northern European countries. But it is also celebrated in the United States. 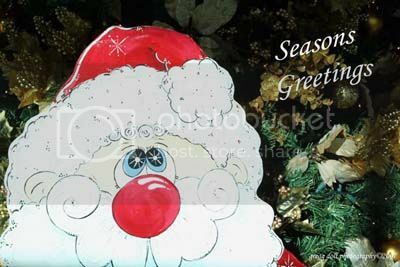 Toys, candies and cookies are left in the shoes of children which is the origin of our tradition of hanging Christmas stockings from the mantel of the hearth. So, in the spirit of the season, we'll have a few pictures from some of the local Christmas light-ups, the biggest of which was held in Northern Cambria Borough over the past weekend. 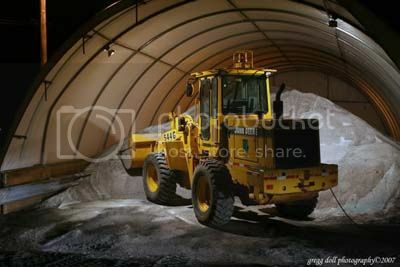 Like a giant warrior preparing to go into battle this PENN DOT front end loader sits quietly in a salt bin along Route 36 in Patton borough awaiting the night's impending snow storm. Standing on Third Avenue in Elder Township looking North towards Bridge Street. 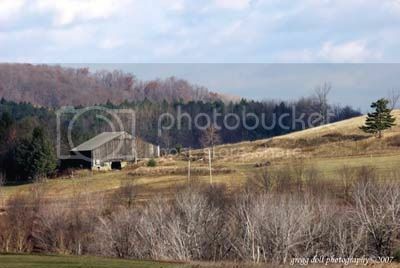 You might remember seeing this barn in the 22 November 2007 blog issue. 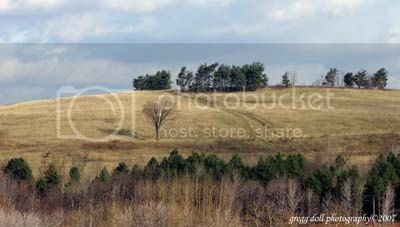 In that picture I was only 100 feet or so from the barn. In this shot I'm about 1/2 mile away. 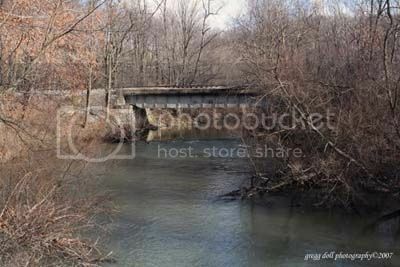 Chest Creek near Eckenrode Mill. 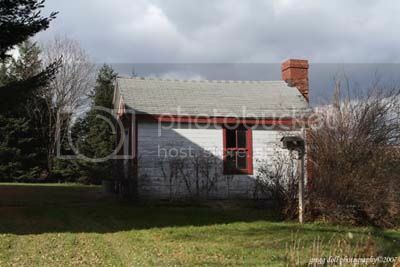 Along time ago, summer kitchens like this were a part of almost every farm. 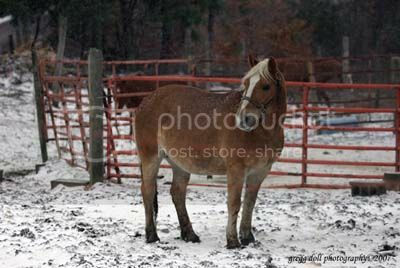 Sometimes you just don't know what you are going to find when you turn off of the beaten path. 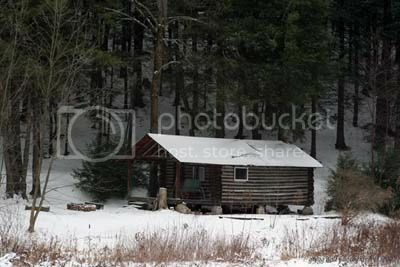 This cabin is surrounded by tall pines and sits just far enough off the road that you would never see it as you pass by. As soon as we get our first snow of the year, we put the bird feeders out. 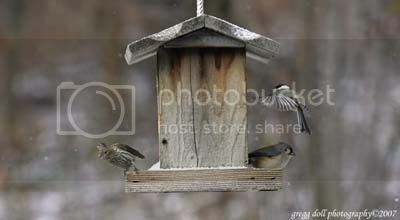 This year we are cutting back on the number of feeders that we have. I'm sure than 9 will be more than enough. 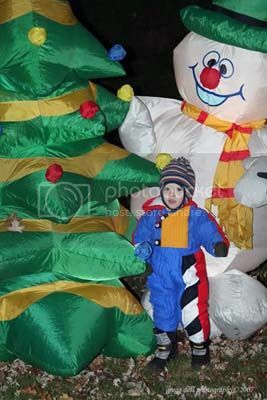 The first six of the next nine photographs were shot in Northern Cambria Borough during the annual light-up night held on Saturday, 1 December 2007. The last three were shot in Hastings on Sunday, the 2nd of December. 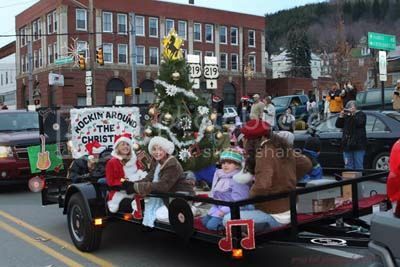 The PTSO (Parent Teacher Student Organization) of Northern Cambria School district float featured elementary school students. Taylor in the Box, aka, Jackie in the Box. 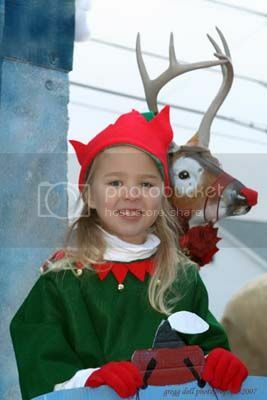 With Rudy looking over her shoulder, one of Santa's elves smiles for the camera man. 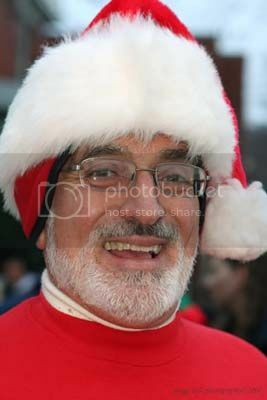 Northern Cambria Mayor Gennaro Cantalupo shows off his Holiday Spirit! 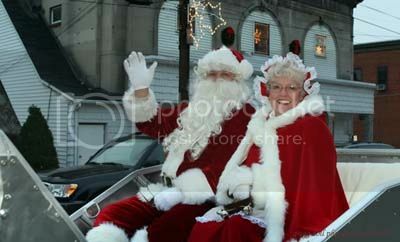 Santa and the Mrs. pull up in front of Frieden Park in their brand new, custom-made sled. Santa was a little disappointed because his elves didn't get a chance to get the sled painted in the metallic candied-apple red paint job that he had requested. 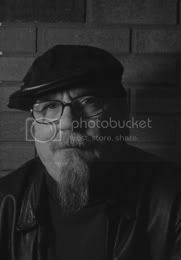 However, he did emphasis to me that the job would be completed before his whirl wind global tour on Christmas Eve. Stopping to pose for one more picture for Grandma this little guy was looking forward to going home to a cup of hot cocoa. 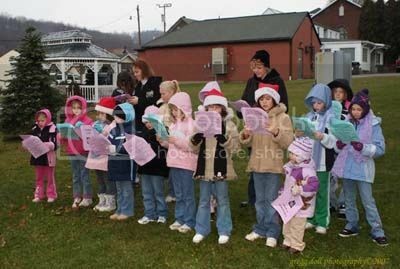 This group of young ladies representing the Hastings Brownie Troop sang Christmas carols for the crowd while waiting for Santa to arrive. 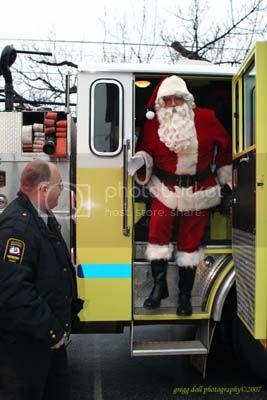 Hastings Borough Police Chief Ron Sharkey stands by as Santa climbs down from Hastings Volunteer Fire Company's Fire truck. 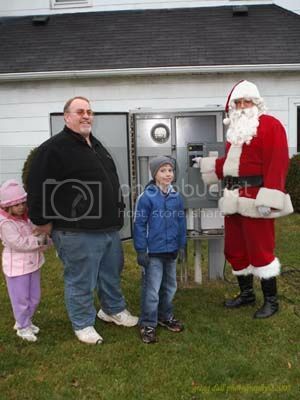 Hastings Borough Council President Chris Gibbons along with his son and daughter helped Mr. Claus turn on the Hastings Christmas lights. 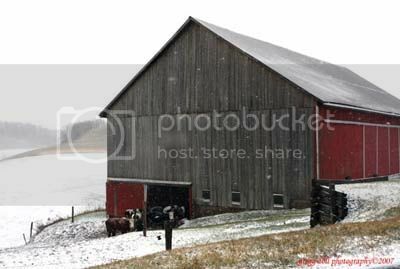 It wasn't long after the snow started to fall this past weekend that these steers on the Westover Farm were headed into the barn. 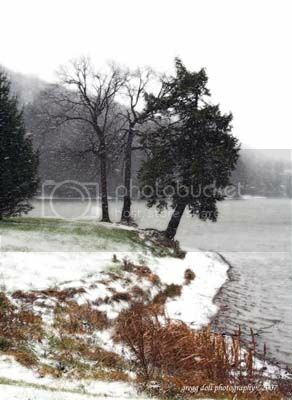 Lake Rowena in Ebensburg, PA. This is probably the most photographed site on the lake. 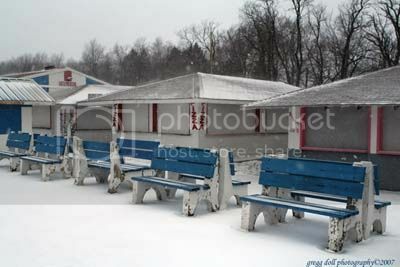 Snow falls on the food concession stands in the deserted Cambria County Fair Grounds, located in Ebensburg, PA. I've been watching the horses at this farm for many years. I finally stopped to take this photo. 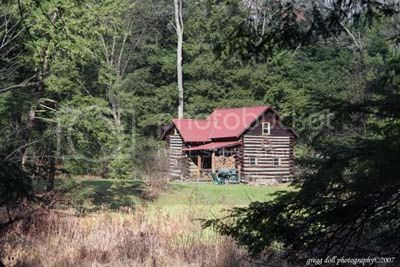 This is another cabin located along the same road and can be seen from the first cabin shown in this issue of the blog. 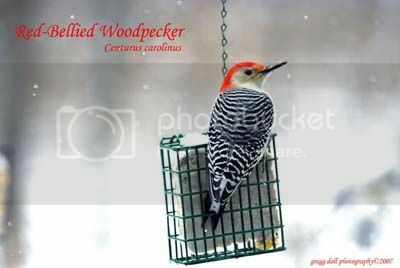 Red-bellied Woodpecker, one of the five woodpeckers that live in or hang around in our woods. 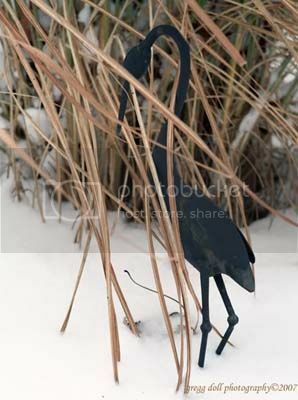 Metal sculpture sitting in front of tall ornamental grasses in the garden. 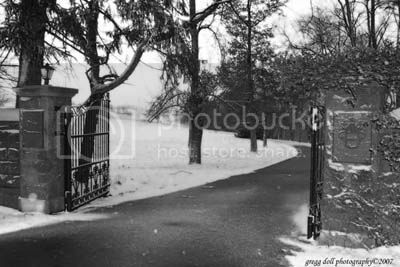 Back gate of the Schwab Estate with it's simple Christmas decorations greeting visitors. 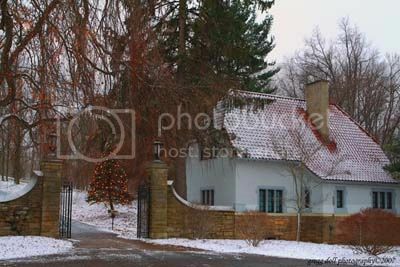 This manor gate was once part of the property belonging to the Schwab Estates, but now is owned by a local architect. It sits on the opposite side of the road from the previous photograph.